Few are aware that Rajiv Khanna, Dolly Khanna’s alter ego, is a qualified chemical engineer from the prestigious IIT Madras. 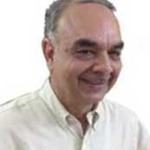 Before starting his investment journey and raking in multibagger gains, Rajiv mastered the secrets relating to the chemicals industry by working as a “research associate” in a well-known company. Rajiv and Dolly Khanna were amongst the first to realize that there would be a paradigm shift for the chemicals sector and that a lot of business would flow from China into India. It is because of this visionary outlook that Dolly Khanna packed her portfolio with as many as four top-quality specialty chemicals stocks. These are Thirumalai Chemicals, Dai-Ichi Karkaria, NOCIL and Meghmani Organics. It is well known that the speciality chemical stocks have been on fire over the past several months and several of them have surged into orbit like rockets. 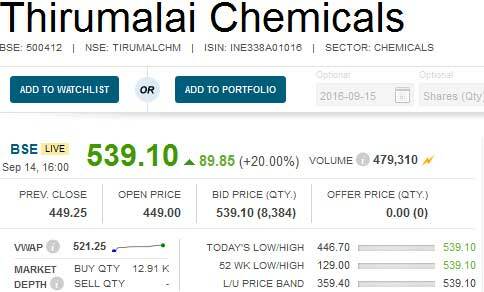 On Wednesday, for instance, Thirumalai Chemicals led the charge with a magnificent surge of 20%. This was followed by another spectacular surge today. Several other speciality chemical stocks like Sudarshan Chemicals, Chemfab Alkali, Pondy Oxides, Mysore Petro, Jyoti Resins, IG Petro, Bodal Dyechem, Akshar Chem, Kiri Industries etc have also notched up impressive three digit gains on a YoY basis. Thirumalai Chemicals Ltd, the crown jewel in Dolly Khanna’s portfolio, is said to be the largest manufacturer of Pthalic Anhydride in India and the third largest manufacturer in the world. The Company was set up in 1976 and has a production capacity of 1,80,000 tonnes. It manufactures a vast product range of industrial and specialty chemicals catering to the plastics, paints and colorants industry. Thirumalai Chemicals is said to be the first among all chemical companies in India to get certified by ISO 9001 as far back as in 1994. Anil Kumar Goel and Seema Goel are also major shareholders in Thirumalai Chemicals. Their collective holding of 556,000 shares surpasses that of Dolly Khanna and is worth Rs. 30.20 crore. Dai-Ichi Karkaria is such a low profile company that few have heard of it and there is no literature available on the Company. How Dolly Khanna stumbled on this company is a big mystery. The Company is said to be engaged in manufacturing specialty chemicals which are used in the Oil field sector, the Rayon industry and the Paint industry. Dolly Khanna held 78,221 shares as of 1st April 2015 and increased it to 86,647 shares as of 31st March 2016 where it has remained as of 30th June 2016. The aggressive manner in which Dolly Khanna has scaled up her holdings in NOCIL is sending the clear signal that she is ultra bullish about the prospects of this Company. As of 1st April 2015, Dolly Khanna held a mere 6,19,131 shares of NOCIL. She has scaled it up to 21,80,801 shares as of 31st March 2016 where it stands as of 30th June 2016. As of 31st March 2016, Madhuri Kela (related to Madhusudan Kela of Reliance Capital fame) held 10,00,000 shares while Nirmal Bang Financial Services Pvt. Ltd held 11,40,000 shares. Edelweiss Securities held 6,24,576 shares. NOCIL is engaged in the manufacture of “rubber chemicals” and is said to be the largest manufacturer in India. 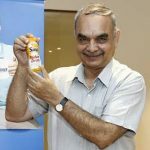 DD Sharma, the veteran stock market expert, recommended a buy of NOCIL on the basis that as the automobile tyre industry grows, so would the demand for NOCIL’s products. 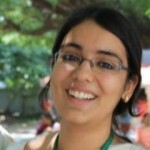 Meghmani Organics is familiar to us because Daljeet Kohli had famously declared it as a “classic turnaround story”. Daljeet was right in his recommendation because Meghmani shot up from Rs. 15 to Rs. 49.75, giving impressive multibagger gains to Daljeet’s followers. The stock is presently resting at Rs. 40. Dolly has aggressively increased her holding in Meghmani Organics as well. She held 4,54,475 shares as of 1st April 2015 which is increased to 6,58,492 shares as of 31st March 2016. The holding as of 30th June 2016 is not known. Indianivesh Capitals Limited, Daljeet Kohli’s company, has bought 6,86,000 shares as of 31st March 2016. Experts have opined that the projected growth of 7.6% in the Indian economy will be consumption driven and result in a surge of consumption for Specialty Chemicals. It is predicted that the Specialty Chemical market which is currently USD 30 Billion will grow to a level of USD 80 Billion by 2023. With growth estimates of 14% CAGR the Specialty Chemical industry is expected to grow much faster than India’s GDP. The vast potential for growth for the finished products from the chemical sector can be envisaged by comparing the per capita consumption of these products against world averages. Compared to developed markets the usage of Specialty Chemicals in India is fairly low. It is also stated that most Specialty Chemical companies in India have asserted their domestic presence by designing and developing products that are very specific to the performance needs of an industrial application for a particular customer/ customers. 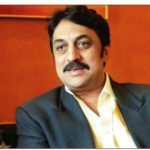 Shankar Sharma has opined that the boom in the speciality chemicals sector is likely to continue in the foreseeable future as well. In his latest interview to ET, Shankar said that the China versus India play is a big, big trend shift because Indian companies are competing and collaborating with China. He added that the Chinese behemoths are likely to outsource to Indian companies or set up contract manufacturing facilities in India. Shankar also confidently asserted that the speciality chemicals space is still a good one and still has a long way to go. Shankar Sharma has recommended Kiri Industries as his personal favourite speciality chemical stock. Kiri is up 280% on a YoY basis. Ravi Dharamshi of ValueQuest Investment Advisors pointed out that the global chemical industry stands at $4.5 trillion and that it is growing at a CAGR of 15%. India has about 3% market share which is expected to increase to 4.5% market share in five years. The companies can easily grow at the rate of 15% to 20% over the next 5-10 years. It is a huge good growth rate and a long run way that these companies have. And it does not matter what happens to the global liquidity flows, this trend is going to play out. He opined that specialty chemical stocks engaged in dyes and pigments, Agrochem, fragrance and flavours, surfactants, personal toiletries and other niche areas will do well. While Ravi Dharamshi did not name any stocks, it is obvious that he is referring to PI Industries (agrochem), Kiri Industries, Camlin Fine, Vidhi Dyestuffs (dyes and food additives), SH Kelkar (fragrance and flavours), Sudarshan Chemicals (chemicals) etc. This proposition is endorsed by Manish P Kiri, MD, Kiri Industries. He pointed out that China is changing the dynamics globally in terms of specialty chemical supplies and that Indian specialty chemical manufacturers are the biggest beneficiaries of this change. 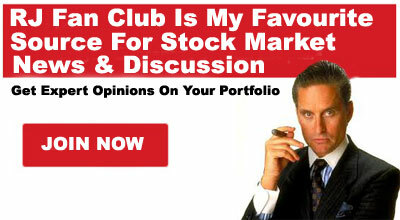 Novice investors like you and me have so far been mute spectators. We have not taken the cues generously offered to us by Dolly Khanna in the past. Fortunately, it is not too late because Shankar Sharma and Ravi Dharmashi have advised that the party is just starting and that it has a long, long way to go. So, we have to grab our own favourite stocks from the specialty chemicals sector and prepare for the long ride. However, given that we have no expertise of our own, it is best if we stick to the stocks invested in/ recommended by wizards such as Dolly Khanna (Thirumalai Chemicals, Dai-Ichi Karkaria, NOCIL, Meghmani Organics), Vijay Kedia (Sudarshan Chemicals, Apcotex Industries), Shankar Sharma (Kiri Industries), Ashish Kacholia/ Rahul Saraogi (Navin Fluorine), Microsec (Ultramarine Pigments) etc and not go on an exploratory mission of our own! Big fan sir of ur website. Keep on giving such great advise. Stocks that do not attract the fancy of big investors may require unnerving patience and hence may not move as expected . Even they take so long a time that retail investors finally give up . What is your opinion on Fineotex chemicals Ltd ? So everybody is bullish on Chemical sector… even the specialists who have not been named here in the column. Story may continue till some environmentalist and public don’t move to state high courts, Supreme Court, Central pollution control board and state control board with environmental issues. Chemical industry has been thrown out of devopled world due to pollution and even China has Crack down. Now just make money till Crack down in India start as after full compliance it becomes costly afair to compete and chemical industry shift to next non complient and unignorent country. But definitely no issues to those who are well complient but they will be few. Cosmo Films. Dolly Khanna just ramped up her stake in it. Check Annual report. Holds 0.75% stake. Specialty BOPP film manufacturer – gonna fly!